C.. The United Kingdom, China and the Soviet Union have a responsibility to participate with the United States in the occupation and military control of Japan and the obligation to assume a share in the burden thereof. Post World War II Foreign Policy Planning, State Department Records of Harley A. Notter, 1939-1945 "600-T-357 Japan: General Principles Applicable to the Post-War Settlement with Japan" <Sheet No. YE5-21 600-T-357>,U.S. National Archives & Records Administration (RG59),“General Principles Applicable to the Post-War Settlement with Japan” T 357, 28 July 1943.National Diet Library. Japan: The Postwar Objectives of the United States in regard to Japan (PWC108, CAC116),March 14, 1944,State Department Documents of the Post-War Programs Committee, 1944 "PWC108 Japan: The Postwar Objectives of the United States in regard to Japan"<PWC-1, Roll No.2>,U.S. National Archives & Records Administration (RG59). 1-3 Fomulating the Postwar Policy on Japan in the U.S. Department of State,National Diet Library. 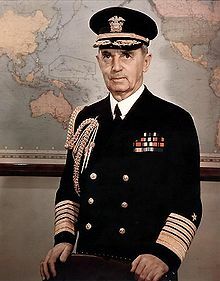 ^ Post World War II Foreign Policy Planning, State Department Records of Harley A. Notter, 1939-1945 "600-T-357 Japan: General Principles Applicable to the Post-War Settlement with Japan" <Sheet No. YE5-21 600-T-357>,U.S. National Archives & Records Administration (RG59),“General Principles Applicable to the Post-War Settlement with Japan” T 357, 28 July 1943.National Diet Library. ^ a b 1-3 Fomulating the Postwar Policy on Japan in the U.S. Department of State,National Diet Library. ^ Dayna Leigh Barnes,Armchair Occupation: American Wartime Planning for Postwar Japan, 1937-1945,2013,The London School of Economics and Political Science.p55. ^ Japan: The Postwar Objectives of the United States in regard to Japan (PWC108, CAC116),March 14, 1944,State Department Documents of the Post-War Programs Committee, 1944 "PWC108 Japan: The Postwar Objectives of the United States in regard to Japan"<PWC-1, Roll No.2>,U.S. National Archives & Records Administration (RG59). ^ Eiji Takemae,Allied Occupation of Japan,Continuum Intl Pub Group (Sd); Reprint版 (2003)p94-96.図はThe Occupational Dynamic.